MARKET AND FESTIVAL BOOTH, OH MY! Wow, what an October, and we've already had Thanksgiving. Time flies when you are having fun. We had a crazy October created 10 new patterns which are all up on the website, www.abbeylanequilts.com. Here was our new postcard. 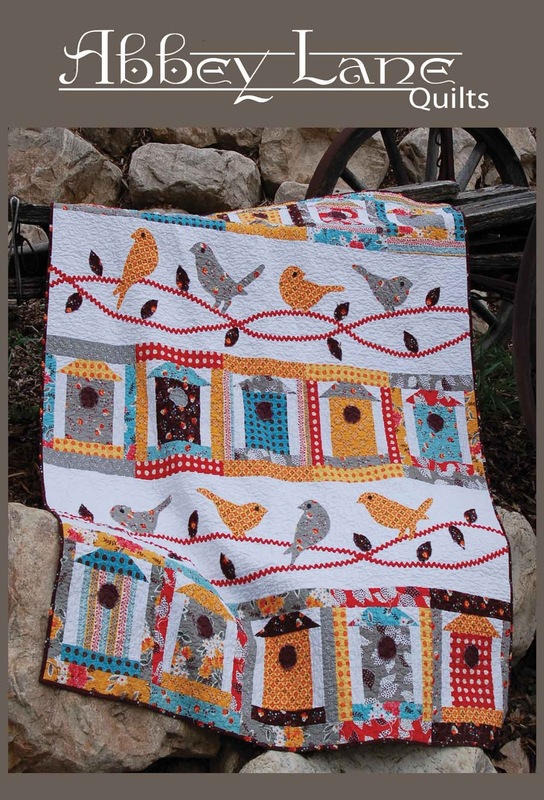 This is one of our new patterns, FREE AS A BIRD. Don't you just love it, we do. Here are a few pictures from Market and even better, Festival, where we got to see so many old friends and make lots of new friends too. Hope you enjoy the little tour. Great Friends, Dena and Marcia came to help. Hope you had a great holiday weekend. Next week we will show you all the new patterns and make sure to come back, because we are having a special give away. You can find all the new patterns on the website.